Shows day of the week. Large bold wording and hand to make it easy to see. High contrast black text on white background. 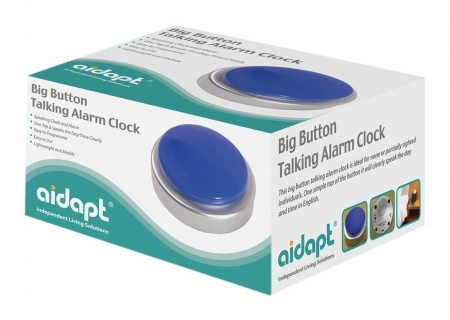 Ideal for people with dementia or poor eyesight. 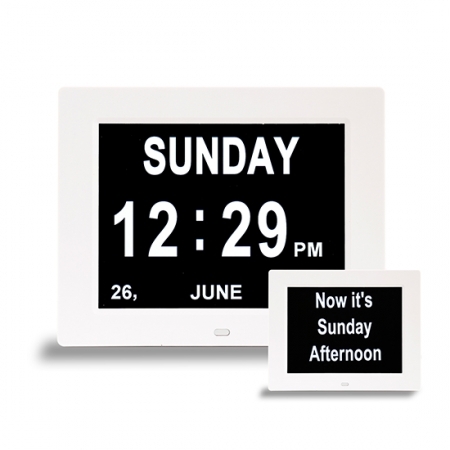 An easy to see quartz weekday clock designed to help those living with dementia and Alzheimer’s with remembering the day of the week. 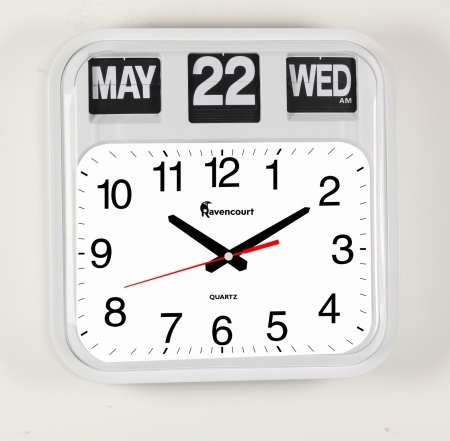 This clock has a hand which moves slowly round to point towards the day of the week. It’s ideal for people with dementia who can easily get confused. 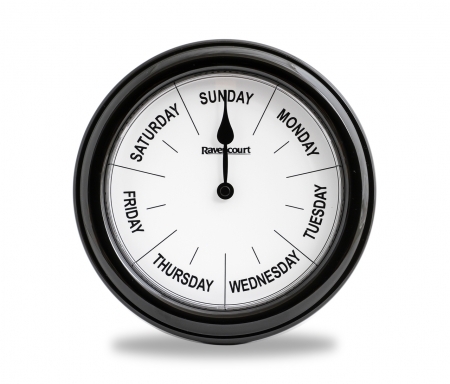 This clock only shows the day of the week so it’s great for those who are used to telling the time with a traditional clock but now need a simpler solution – priceless reassurance in a very simple form. 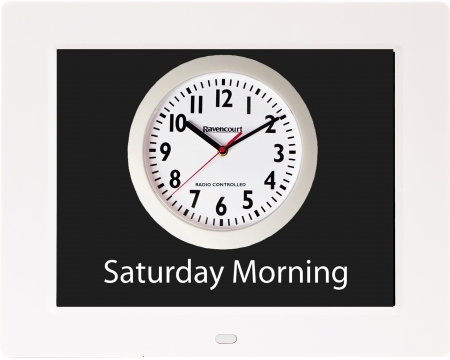 The bold, easy to read dial is also suitable for children and people with poor vision.